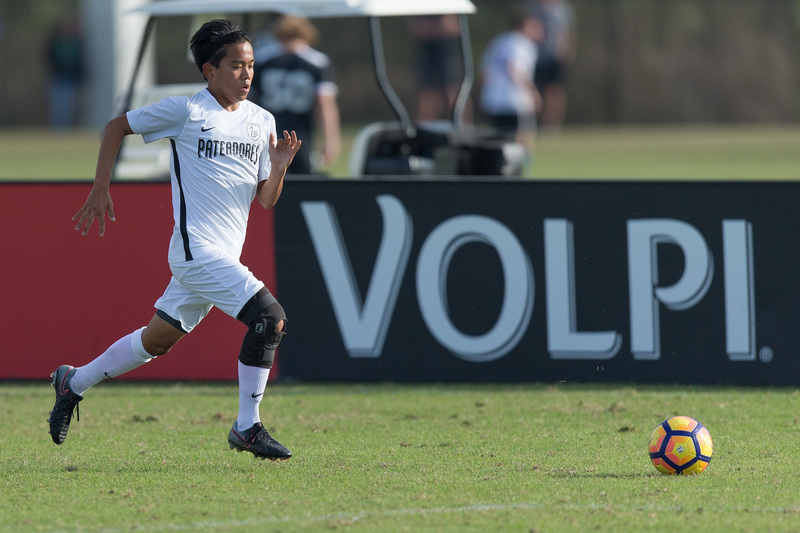 One-hundred and sixty U.S. Soccer Development Academy teams in the U-16/17 and U-18/19 age groups will gather at the Premier Sports Campus in Lakewood Ranch, Fla. for the 2018 Winter Showcase from Nov. 29- Dec. 3. The U-18/19 age group will kick off the first of 240 contests on Thurs., as each team plays three games against opponents it wouldn't normally face during the regular season. Academy staff hand-selects each match-up based on form, location, style of play and other factors to ensure the most meaningful matches. The first feature game of the Showcase will be the first for Richmond United at any Academy event. The Viriginia-based outfit enters the Showcase in a buoyant mood following an undefeated 5-0-4 start to the season. That record is good for second place in a stacked Atlantic Division, just a point behind the Philadelphia Union. Richmond comes into the Showcase following three 1-1 draws, the last two against MLS teams in the New York Red Bulls and D.C. United. The Richmond attack has scored 21 goals this season and loves to get forward as quickly as possible. Leading the line is Key White, whose five goals are the most on the team, but the goal-scoring has been evenly spread out, as 10 different players have found the back of the net so far this season. United is on track to make the playoffs for the first time in its history. As Winter Showcase matches count towards the overall standings, a good start at the event against Sacramento is paramount. Sacramento Republic enters the Showcase with a record of 4-1-3, just three points out of first place in the Northwest Divison behind Seattle Sounders FC and Vancouver Whitecaps FC. Players like Cole Rovengo, Mario Penagos and Nicholas Hategan started with the club in its inaugural season at the U-13/14 level and are now leading the way for Sacramento's oldest Academy team. Sacramento is lauded for its possession-oriented soccer, but its front three can also break forward at a devastating speed. The midfield is full of creative players that are capable of breaking down lines by beating opponents off the dribble. Republic's multi-faceted roster has produced 22 goals on the season, while the defense has yet to surrender more than two goals in any game. The Northern California club is coming off a series of matches in SoCal, where it suffered its first loss of the season, 2-1 to Pateadores, but came storming back with a 4-2 victory over FC Golden State. Three wins in Florida could see the Republic head into the winter break at the top of the division. Champions of the Development Academy in 2011, Pateadores Academy Director Teddy Chronopoulos and his crew are no strangers to big occasions. Pateadores are off to another strong start this season with a 3-0-3 record, good for third in the Southwest Division with a number of games in-hand over the clubs above them in the standings. The Costa Mesa, Calif.-based squad is adept at reading when to transition quickly and when to settle in possession. U-17 Men's National Team defender Kenny Nielsen has led the team this season, while midfielder Matt Leong is a classic no. 6, winning tackles and following up with simple, but smart distribution to spring the attack from his holding-midfielder posititon. Real Colorado enters the showcase with a 5-1-4 record, good for fifth in a fiercely-competitive Frontier Division, and if the season ended today, in position for a wild card berth in the Academy Playoffs. Real stuttered a bit in its last set of games, conceding six goals. The defensive lapse started with a 2-1 loss to Texans SC Houston before a thrilling 4-4 draw with the Houston Dynamo. However, the setback shouldn't downplay Real Colorado's defensive dominance to start the season. The Centennial, Colo.-based club gave up just one goal while keeping seven clean sheets in its first eight games. This staunch back line is led by center back Xander Wendt, not only anchors the defense, but often starts attacks with his smart distribution. At the other end, the offense is led by Jovany Herrera, who's already netted five goals this season. Real Colorado defends well as a unit, but head coach Danny Bills also gives his players freedom in the attack, creating a dynamic on-field product. If Real can rediscover its form from the start of the season, then the club that produced Ethan Horvath may be able to produce a team capable of a deep run in the summer.